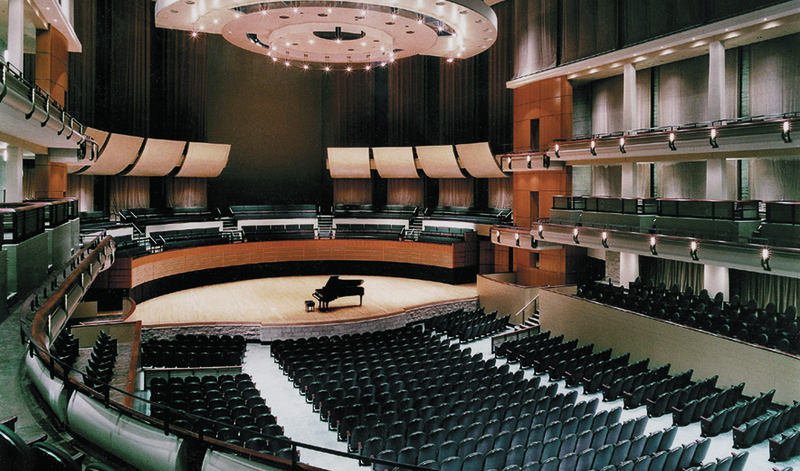 Winspear Concert Hall is a 1800-seat purpose-built concert hall for the Edmonton Symphony Orchestra. To control costs, many common and precast/modular materials were employed, including precast concrete balcony face panels, and locally quarried split-faced stone block for the side walls. My involvement on this project began while I was still an undergraduate engineering student. I developed and conducted a series of laboratory tests to study the acoustic scattering characteristics of the split-faced stone intended for the side walls. I was later employed by ARTEC, and the results of my research were implemented in the design of the hall.